The age of Wiki-leaks, social-media and Al-Jazeera, has enabled people across Tunisia, Egypt, and elsewhere to expose and galvanize people’s frustrations with their governments. Indeed, corruption in all its forms has been one of the main reason for the major inequities created in these societies and perhaps is its root cause. In this special report, we look at Corruption in the mostly Muslim majority 57 Organization of Islamic Conference (OIC) countries. We focus specifically on the business community, its common corrupt practices or environment, and opportunities of curbing its cancerous effects. This disease of corruption has been crippling the OIC economies and societies for far too long. However, the recent revolutions in Tunisia, Egypt and now Libya provide some hope, perhaps indicating that the people may drive not just political change, but economic change as well. Transparency International (TI) is a global civil society organization focused on fighting corruption. It defines corruption as the abuse of entrusted power for private gain. TI has more than 90 chapters worldwide and an international secretariat in Berlin. Based on the TI Index, 51 of the 55 OIC member countries covered by this list are corrupt. 38 of which would fall under the severely corruption band of 2.9 score or below! TI’s Corruption Perception Index (CPI) measures the perceived level of public-sector corruption around the world. The CPI is a good initial tool to see the state of corruption in various countries. 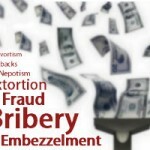 The 2010 report covered 178 countries covering perception of bribery of public officials, kickbacks in public procurement, embezzlement of public funds, and questions that probe the strength and effectiveness of public sector anti-corruption efforts. Although not focusing on the private sector, this report paints a disturbing picture of the prevalent public-sector corruption in Organization of Islamic Conference (OIC) member countries which has direct implications to the private sector . The list ranks countries on a scale of 1 (Highly Corrupt) to 10 (Very Clean.) Countries below the score of 5 are considered corrupt in some significant way. Given this criteria, the report states that 51 of the 55 OIC member countries covered on this list are corrupt. Of the 51 covered countries, 75% (38 countries) would fall under severe corruption band of 2.9 score or below! Another way to see this would be that OIC member countries form 42% of the corrupt nations on this list while they only represent 8% of the non-corrupt nations. The most corrupt countries from the OIC (bottom of the list) were Somalia, Afghanistan, Iraq, Uzbekistan, Turkmenistan, and Sudan all with a score of less than 2. Amongst the large OIC economies, Indonesia (2.8) , Pakistan (2.3) and Iran (2.2) have the worst scores. Other large economies fare relatively better Saudi Arabia (4.7), Malaysia (4.4), Turkey (4.4) but still below the the score of 5 and with ample corruption issues. The cleanest, non-corrupt nations in the world, according to this list are Denmark, New Zealand, and Singapore all with a score of 9.3. TI’s Corruption Perception Index (CPI) covers just the public sector. However, the CPI also serves as a strong and ominous indicator of structural corruption inherently prevalent in the private sector, given the major role played by the central governments of the OIC member countries in their respective corporate sectors. This is confirmed by the fact that the institutions considered most corrupt are usually government related entities, as shown in the table. TI’s Pakistan Chapter concluded a local survey in June 2010 on Corruption Perception in Pakistan (CPI score 2.3, CPI rank #143). The survey revealed that the Police remain the most corrupt public institution, followed by the Electric Utility, coming in at second most corrupt, and the Land Administration office rounds out the top three most corrupt institutions in Pakistan’s public sector. A similar study conducted in Indonesia (another major OIC market with high perceived corruption) shows that the Police, Customs, and Immigration institutions are the key purveyors of bribery. In terms of business sectors, the TI Pakistan report showed that Builders/Contractors were perceived to be the most corrupt (see table). This assertion is supported by findings of the global study of Industries most prone to corruption, which shows Public Works/Construction as most prone to corruption. When looking at the wide array of ways and types of corruption, it is fair to say that evil geniuses are hard at work. Its impact is catastrophic and lives and livelihoods are affected. Below is a breakdown of some of the main ways corruption takes place; please note, this is not a comprehensive list – but rather just a snapshot – of deviant business tactics. Corruption happens at individual level, or by big and small business and public entities who engage in it as part and parcel of their culture and processes. Indeed corruption is both small and big. Practiced on a smaller scale corruption usually involves relatively small amounts of money, including bribery (grease money or speed payments). Whereas “big corruption” is most dangerous – where policy making and business collude to design and implement projects and initiatives compromised by corrupt practices. In big infrastructure projects for example, government officials in the process of making decisions of significant economic value, routinely demand bribes or kickbacks for ensuring that tenders or contracts are awarded to specific contractors. Embezzlement: Theft of public property or money. Fraud: Procurement fraud, insider trading, money laundering, price fixing, accounting irregularities, etc. Grey areas: Gifts, client expenses. To gather some opinions on corruption, DinarStandard spoke to a number of executives from Pakistan, Bangladesh, Turkey and Indonesia. Corrupt practices thus limit formation of competitive market environment for both local and global companies. “Foreign investors prefer to enter the more stable markets like banking, insurance, telecom, energy and hesitate from less-regulated markets such as textile, apparel, tourism and construction”, Kocaman said. The Turkish government is actively working to minimize bribery. World Bank’s 2008 estimates show that the cost of corruption equals more than 5% of global GDP (US $2.6 trillion), with over US $1 trillion paid in bribes each year. This corruption adds up to 10% to the total cost of doing business globally, and up to 25% to the cost of procurement contracts in developing countries. Another way to look at it is that for a business moving from a country with a low level of corruption to a country with medium or high levels of corruption is found to be equivalent to a 20% tax on foreign business. Thus, corruption levels are an important factor for corporations to consider when analyzing the economic feasibility and impact of expanding or moving operations into an emerging market. Certainly, core principles of ethics and morality as it relates to economic corruption are universal. So for those communities and environments (family, education, etc) that value good morals, corruption’s catastrophic impact on others in society and community would be a big concern. Leadership of any sort, including managing a business and/or team, is seen as a heavy undertaking, in terms of both practical and spiritual liability, requiring a high level of responsibility in both morality and ethics. Given this strong emphasis on just and equitable dealings in Islam, one would naturally expect a low affinity towards corruption in Muslim markets. Unfortunately, in practice (as shown earlier), Muslim markets are notoriously corrupt. Perhaps this is a function of lack of awareness of Islamic principles governing business transaction amongst the local professionals. More likely than not, the rampant corruption is an indicator of a weakness of ‘Imaan,’(belief in God) and ‘Taqwa’ (God consciousness)? Interestingly, TI’s Pakistan report showed that while 71% said people get involved in corruption “under duress,” still 29% said it is done “voluntary.” Sadly, this is certainly a sign of losing Islamic and moral character in exchange for a quick, unethical, and undeserved economic return. So what can be done? When corruption has infested so many aspects of a business environment, how can it be controlled? Fortunately, there are many institutions across the world and Muslim markets who are striving to eradicate corruption and push to establish a just and equitable business environment. The UN Global Compact has an online anti-corruption tools inventory. The inventory is intended to guide companies through various initiatives and tools to help curb unethical dealings. These tools provide anti-corruption guidelines and integrity systems, training, whistle-blowing systems and reporting. TI’s local chapters in Bahrain, Turkey, Pakistan, Malaysia, Indonesia and other places also support businesses in instituting anti-corruption practices and policies. The global consultancy PriceWaterhouseCoopers, published a report on “Confronting Corruption”. The report presents five steps to establishing a better anticorruption program that cover, 1)Risk analysis, 2) Implementation, 3) Sanctions process, 4) Help lines, 5) Monitoring. Similarly, an anti-corruption guide for South African SMEs presents ten steps to building an ethical culture as shown in the table. Corporate corruption is an epidemic plaguing the highly interconnected economies of the modern world, and unfortunately, the OIC countries are no exception. In fact, the OIC countries are some of the worst sources of corruption in the global economy. The Prophet Muhammad (SAW) shunned corrupt practices long before any form of index was formulated, some 1400 years ago. OIC countries need to seriously look at the implications of their gray areas and “permissible” corrupt practices, and make a concerted effort to return to these core principles of justice and morality as advocated by Islam. Morality demands it, divine accountability demands it, and such practices do not bode well with the international market. Sustained corruption will only cause the uncontrollable growth of inefficiencies and overhead to aggregate, resulting in heavy economic loss. Countries, companies, and institutions alike with low tolerance for corrupt practices will not work with massively corrupt environments, and will naturally close opportunities of potential investments in corrupt markets. As leaders in the OIC markets are awakening to a higher level of accountability and responsible governance, demanded by its grass roots revolutions, driven by the rejection by the people of corrupt regimes, we hope the tide of corruption in these markets will start changing as well. The question now is how does this momentum of change translate to the business sectors? Will a consumer revolution also demand accountability of business leaders? Corruption is a vast topic indeed and we have just touched its surface. Please join us with your comments below, or on our Facebook page. Al Amal Microfinance Bank of Yemen (AMB) clinched the Islamic Microfinance Award 2010 (held in February 2011), walking away with a grant worth USD104,000 for its idea to launch an Islamic leasing facility, something new in the micro financing sector. Micro financing serves to meet the needs of 2.7 billion people who have no access, or inequal opportunity to attain financing. Muslims in this group are often faced with conventional/non-Shari’ah compliant investment instruments. 130 banks and Microfinance Institutions (MFIs) submitted their ideas for the award, but AMB, the first MFI in the Arab world to offer only Shari’ah compliant products, was awarded the prize. Competing finalists for the award included: Tameer Micro Finance Bank Ltd (Pakistan), Tanzania eco Volunteerism (Tanzania), Bina Insan Sejahtera Mandiri (Indonesia) and Centre for Women Co-operative Development (Pakistan). Below is a brief profile on each. AMB was established in 2002 through the Social Fund for Development (SFD), the Arab Gulf Program for United Nations Development Organizations (AGFUND), and the contribution of the private sector. During the 4th International Conference for Youth Funding held in Washington in September 2010, AMB was selected as the second MFI in the world to support youth entrepreneurs. AMB dominates 25% of the microfinance market in Yemen with more than 20,000 savers and has funded more than 24,000 micro projects, as of year-end 2010. AMB has a loan portfolio of USD 5.5 million with over 125,000 beneficiaries. The majority of AMB’s clientele are women. TAMEER vies to be a global benchmark for innovative and commercially viable solutions to empower those who are socio-economically challenged. Managed by a group of experienced bankers, TAMEER distinguishes itself from competitors by being the first corporate micro finance institution in Pakistan. TAMEER’s professional outlook has allowed it to serve a kaleidoscope of clients to produce an economic multiplier effect for the economy. Established in 2002, TAMEER focuses on poverty elimination, sustainable development and economic empowerment, offering a suite of investment tools to suit their range of clients. Some of their products include Trade Micro Credit, Micro Group Credit, Emergency Micro Credit, Micro Mortgage, Micro Leasing, Micro Savings, Micro Insurance and Tameer Term Deposits. TeV tells a different story of its work, as the corporation focuses very much on the youth of Tanzania and international members of society who are interested in eco-volunteerism. TeV was established in 2001 and has launched projects revolving around community development, health and education, sports development for the youth, environmental conservation endeavors, and construction projects. A major milestone materialized in the World Youth Millennium Awards (WYMA), an exchange program established between the Prince’s Trust and TeV, to establish a volunteer exchange between the UK and Tanzania. The landscape of micro financing for TeV revolves around natural resource management. This has allowed marginalized communities to acquire new skills and to realize the importance of environmental management. TeV encourages women and young entrepreneurs to start their own businesses by offering social, vocational, and practical skill building workshops – mostly related to the theme of nature. BISMA commenced operations in 2003 to participate in the development of microfinance in Indonesia. Unlike the other finalists, BISMA does not deal with micro financing clientele but seeks to build MFIs to fuel Indonesia’s entrepreneurship landscape. BISMA supports the expansion of micro working capital of MFIs through time deposits and loans. Beneficiaries of such instruments include rural MFIs, cooperatives, and local non governmental agencies. BISMA also focuses on providing incubation services, training and consultation to improve the technical skills of MFIs. Such services include workshops, mentoring and assessments to strengthen networking and capacity building amongst MFIs and banks, establishing long term partnerships amongst the same. Since its inception in 1992, CWCD has been shouldering an important incentive in providing micro financing to the women of Pakistan; encouraging professional endeavors, independent sources of income, and the development of personal interests and strengths. As such, poverty alleviation has prevailed as a prominent result of its efforts, and CWCD’s strong alliance with institutions like the First Women Bank has elevated the status of women with respect to professional development. Over the course of its 12 years in operations, CWCD’s micro-credit projects have paved the road to seizing entrepreneurial opportunities. for both the financially deprived and the illiterate. By funding ventures in various business segments – ranging from textiles, to electrical equipment, to accessories – CWCD has helped make unlikely dreams of Pakistani women into economic realities. CWCD has played an integral role in helping single mothers, failed serial entrepreneurs, women who share the financial burden of their husbands, and family businesses become successful. Although CWCD champions the cause of women, the institutions also focuses on children’s welfare; caters to men who live in equally deprived conditions; and concentrates on improving conditions of overall healthcare and education in poverty stricken areas. Bateel is Arabic for the young branch of a date palm — one that can be used to grow a new tree. 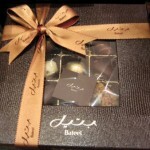 The word Bateel, therefore, is very much associated with the date, an important fruit in Islamic history and culture. Thus the word Bateel is very much associated with the date, an important fruit in Islamic history and culture. Symbolically, Bateel, of the Bateel International LLC of Saudi Arabia, has taken dates from being just a commodity, to becoming a gourmet delicacy and a premium brand in condiments. It has recreated the perception of dates as a product, by crafting a strong branding experience. In a culture where dates are consumed like water, the Bateel Group rebranded the image of a date from being just a consumer good to one that boasted premier branding. The genesis of Bateel is based on the most generic reason for all businesses—viability! In 1992, the wholesale pricing strategy of the company had become unviable. The cost of production in the state-of the art- factory at Al-Ghat was more than the sales value that was being recovered from the mass market rates. The necessity of ensuring profitability and business survival brought about the birth of “Bateel – World’s only Gourmet Date Experience,” a whole new branding strategy. In crafting their strategy, Bateel started with a simple concept, a high price point which was based on a unique range of high quality products targeted to a well-defined market segment in an upscale and elegant retail environment. The concept was unique, offering a selection of products not available from any other source, in a range that was not known prior to the availability of Bateel’s suite of products, and in an ambience that exuded class and quality. Tied to this was a very clear understanding and insight into the emotional needs of the target group. In a short time Bateel became a runaway success with growth rates of 30-40%. 1) Premium positioning: Bateel became one of the very few marketers (in the region) who elevated a common everyday mass produced product to a unique, premium offering, and tied its brand association with the cultural custom of gifting dates. 2) Product innovation: Bateel capitalized on the synergistic marriage of chocolate and dates, creating a premium brand “for connoisseurs.” Just as high end quality chocolate has certain product qualities which are heightened with packaging, Bateel went into a product extension of making date-based chocolates for its group, bringing innovation and creating a new category of its own. 3) Full Brand experience: Bateel made it a priority to deliver the premium quality of the brand experience consistently throughout its product range; taking the care to even design an upscale ambience which permeated their physical stores, with the ultimate goal of providing a new brand experience for the target group. Creating a brand out of a commodity is one of the hardest branding exercises, as differentiation becomes difficult when similar products are available at a much lower price point. Bateel’s management understood the need and the value of incorporating consumer insights in order to evolve into a viable premium brand. Consumer acceptance was vital in the progress as creating a good product was half the battle. Towards this end, the strategy focused on providing a unique and holistic brand experience, in terms of visual aesthetic, comfort, as well as taste. The product extension into date based chocolates supplemented this strategy and added to the premium image of the brand. (A) The packaging of the dates was on par with that of expensive gift items. This, possibly, was one of the key reasons for the immediate success of the brand; the target group felt proud to be associated with the brand as it represented their class and taste. (B) The retail interior design of the Bateel shops exuded shops exuded decadence, elegance and class in their designs, reflecting Bateel’s brand persona of a good fusion between Western elegance and Arabic cultural roots. The ambience was bolstered with a nuanced, and soothing visual identity. In 2007, the brand decided to extend its footsteps and take the “World’s only Gourmet Experience” further. The brand’s extension into cafés, serving North Italian Umbrian cuisine alongside exotic Middle-Eastern fare, was yet another innovative way of further expanding the Bateel brand experience as well as entrenching itself in the broader positioning of premium gourmet. The café concept was another innovative streak of the Bateel experience and environment, providing a strong reason for its core target group to feel rewarded with their relationship with the brand. At the same time the brand widened its reach by appealing to new target groups of business professionals and discerning customers. Bateel—is a Date to be remembered, and to be watched as it progresses strongly to establish its brand identity across the region. It has re-defined dates by its innovative branding and has raised the profile of this important fruit of Islamic history and culture. Commodity products may appeal to the masses, but a careful executed branding experience can alter the perception of the product: elevating it from commodity status to premium status. In the case of Bateel, the consumer product of a date became a high quality delicacy that boasted premier shopping and café dining experience. Bateel capitalized on the Arab culture of giving dates as gifts and positioned their dates as luxury gifts in order to attract clients who were inclined to giving luxury gifts as part of their culture. Packaging and later superior shopping experiences through elegant visual stimulation through the Bateel shops and cafés enhanced the brand image of Bateel as a high quality service provider. Qatar ban on Islamic Banking windows: Good or bad? Early in February, the Qatar Central Bank (QCB) issued a circular declaring it ‘has been decided to terminate the activities of Islamic finance services’ offered by conventional banks. Banks with Islamic windows have until end of 2011 to comply with the requirement. (See background below). The reasoning behind the decision has been the subject of wild speculation in the market. Some bankers have stated that such decisions, taken on a seemingly ad-hoc basis, may hurt Qatar’s top spot in the ‘Transparency in Doing Business’ ranking. According to the Peninsula newspaper , the conventional banks’ Islamic window branches (now amounting to 16) have widened their customer base to some 80,000 individuals and corporate entities. “The time given to us to wind up our Islamic banking activities is so short that we can’t even imagine how to recover our investment and manage the credit portfolio,” said an industry source to the Peninsula. It is noteworthy that the circular relates to all conventional banks with Islamic operations, even if the balance sheet is segregated. However, if a separately capitalised Islamic bank were licensed (even if owned by a conventional bank), presumably, it would not fall under the regulatory ban imposed here. Some commentators have condemned the move, stating that the QCB did not account for the potential impact on the market, and perhaps intended to give the Islamic banks a free ride. The critics also state that the major international banks have been unilaterally responsible for the major innovations in the Islamic finance industry. One commentator argued that international banks are the sole access to global capital markets for Islamic banks, and that Islamic banks will not be able to support transactions of the magnitude that are currently financed in the region. The QCB directive is directed at all conventional banks with Islamic windows, not just multinational ones. The directive is not prejudiced towards international banks; rather, all conventional banks are affected by it. Further, the ban of Islamic operations does not necessarily preclude arranging and advisory services that international banks conduct. Another criticism of the decision is that it prevents banks from choosing the most efficient operational business model. Islamic windows allowed conventional banks to offer Islamic services directly from their existing network; bypassing the cost and overhead associated with setup of separate Islamic operations. Further, the marketing reach and network of the conventional bank is much stronger than an Islamic bank. Finally, conventional banks could gauge demand via Islamic windows, before heavily investing in setup costs of a separate entity By requiring conventional banks to set up new fully segregated Islamic banks, the barrier to entry is significantly increased, thereby limiting the entry of new players into field of Islamic finance; arguably stifling competition, and ultimately hurting the customer. There is no clear monitoring of activities of the Islamic window in relation to its conventional parent. If operations, marketing and potentially the balance sheet are mixed, then it is difficult to verify the revenue and cost attributed to the Islamic window. Further, a number of complications arise when dealing with customers. Does the bank staff promote Islamic products or the conventional equivalent to a neutral customer? A conflict of interest may arise if conventional staff members are unable to cater to and service customers interested in Islamic finance. In the absence of specialized training, staff may not be aware of the salient features of the Islamic banking products, especially as it pertains to contracts, legal documentation and implications of default and early settlement. ‘Since 2005, there has been a lot of improvement in Islamic banking services as a result of the QCB’s liberalised policy of permitting commercial banks to offer Sharia compliant banking services’ said one source to Peninsula, a Qatar newspaper. A number of critics have stated that QCB’s most recent move could also limit competition, creating a banking monopoly for Islamic banks. They also argue that the existing Islamic banks will have serious difficulty in managing the service flows from the new businesses. Both points indicate that services can only be expected to deteriorate rather than improve. The QNB Islamic branch currently services 45,000 customers generating profits of around QR 900m last year. Having to forego such a significant chunk of business will trouble banks that have heavily invested in building up their Islamic franchises. To counter this loss in opportunity, the conventional banks can seek to negotiate with the QCB, possibly setting up independent Islamic banks with completely segregated operations and accounting from the conventional parents. This would, simultaneously, ease the concern of the QCB, while allowing conventional banks to retain their Islamic finance market share. While the short term impact of the decision may be difficult for the country’s conventional banks; the QCB move may be heralded as foresight, in a region where regulation usually follows bad practice. Shari’a advisors have long been concerned that Islamic banking windows are the cause of a number of serious Shari’a compliance failures . Many ‘innovative’ products have actually hurt the reputation of Islamic finance; earning the criticism that Islamic finance is just a work-around of conventional finance products. For instance, the Murabaha based deposit is sometimes accepted by the Islamic banking windows, without any ensuing Murabaha transaction taking place upon deposit. At the end of the period, the Islamic bank client receives his deposit plus a return; allegedly earned from a deferred payment Murabaha transaction. There have been countless anecdotal reports of these practices occurring in conventional banks. However, it has been very difficult to verify or refute these reports, as there is no mandated independent Shari’a audit for these conventional banks. By requesting all banks to establish separately capitalized Islamic banks or subsidiaries, Sharia’ governance is better monitored and establishes a stronger environment for transparency. Each institution can have its own independent Internal Shari’a reviewer/auditor in place and thereby maintain Shari’a compliance within the institution. Some have argued that such an extreme measure to ban all operations is not necessarily the only option to ensure proper Shari’a governance. Sh. Taqi Usmani argues that as long as there a permanent Shari’a unit in addition to the Shari’a supervisory board and a complete separation of accounts, staff, office and funds, then it would not be mandatory that a separate Islamic bank has to be formed. Banning windows also ensures that Islamic funds do not leak out into the conventional banking system, strengthening the base of authentic Islamic finance. Islamic banking windows can take Islamic funds and then recycle it within the conventional banking system. Islamic banks, however, can only accept money that they will invest in their own assets (through Wakala and Mudaraba). 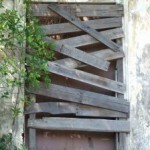 On the other hand, Islamic windows, are not bound by the same restrictions, and can reinvest into conventional markets. Since the first transaction (customer deposit) is merely a sale (Muabaha), the second leg can be anything, as long as the sale is completed. Islamic finance purists say that by allowing such window operations, Islamic banking assets are being funnelled into the conventional system rather than being placed back into the Islamic finance ecosystem. This can also be evidenced in the management of reserves in Islamic window operations. The conventional treasury department usually handles money-market operations. Daily surpluses are usually passed on to the conventional treasury for overnight transactions for earning some marginal income. Sometimes, treasuries may not have enough surplus from Islamic reserves to cover its positions. In these instances, it would use the proceeds from sale of conventional papers to cover the Islamic deposit obligations at maturity. If a separate subsidiary with a separate independent treasury is established, the Islamic bank would not have to commingle funds with the conventional treasury. Further, all the funds accepted would have to be directed at Islamic funds. The decision by the QCB to limit the Islamic banking operations of conventional banks came as a huge blow to the conventional banks in Qatar. Commentators considered it an imprudent move to limit competition in the high growth Islamic banking market of Qatar while limiting access to global markets. Despite the short term impact on the affected banks, it is the author’s view that it is for the overall benefit of the Islamic finance industry. The ban would alleviate the serious governance/control failures that plague Islamic operations in conventional banks while also preventing the leakage/mixing of Islamic funds with conventional funds. It would be advisable, subject to policy restrictions, that the QCB allow the conventional banks to apply for new Islamic banking licences for their Islamic windows. Where this is not possible, conventional banks should at least be able to merge their Islamic assets and create two to three fully segregated Islamic banks. Regardless, the decision by the QCB will be observed closely by regulators elsewhere in the region to ascertain the impact on the growth and transparency of the Islamic finance industry in their jurisdictions. If it does and given the support from Shari’a scholars, it is likely that some of these jurisdictions will consider such a move. Malaysia has required the same of its conventional banks and it was considered a pioneer when it did. Given the potential move towards such requirements, conventional banks should therefore consider whether their operating models are optimal going forward. Dr. Sayd Farook is the Global Head of Islamic Capital Markets at Thomson Reuters, USA. As Global Head of Islamic Capital Markets, Dr Farook is the principal architect of Thomson Reuters’ vision of a global interconnected and diversified Islamic finance and capital markets without borders. He holds a Ph.D. in Islamic Finance, Business and Law degrees from the University of Technology Sydney and is a Certified Islamic Professional Accountant (CIPA) from AAOIFI. Disclaimer: This article represents Authors views in his personal capacity and does not in any way represent the views of Thomson Reuters. As an entrepreneur having gone through angel and venture capital (VC) funding stages for my technology start-ups, I have a special interest in developments of the VC world. I started hearing about increasing amount of investment activities mainly in the information technology (IT) field in my home country Turkey although small and medium enterprises (SME) in developed countries are still suffering from lack of business loans and slower funding activities that started with latest global finance crisis. That stirred up some curiosity in me! I wondered how much of these investments were backed by VCs and angels. Traditional fund sources such as family, friends and bank loans have dominated in Turkish funding world while the U.S started venture funded firms in early 1950s and England in the 80s. I wondered how about in Turkey? Do we have well-established VCs and angels? Who are they and based on which criteria do they invest? Which fields and what kind of companies do they invest in? What is their investment range and in which business cycle do they hop on board with a stash of money?! That is why I conducted some research to write this article and introduce to you respectable Turkish angels and VCs. Inovent is a technology commercialization company. It specializes in development, commercialization and management of intellectual properties developed by universities, research institutions, technology companies and entrepreneurs in Turkey. They perform various services besides fund provision to entrepreneurs from business plan development to incubation services to intellectual property management. Their seed fund focuses on pre-seed, seed, proof of concept and initial commercialization stage deals and will typically make an investment of between 25,000TL and 250,000TL (1 TL is approx. 0.65 USD as of September, 2010). Inovent CEO Serhat Görgün expressed that they have helped found 16 startups including NanoTeco (nano technology), Maxima (machining operations), Inotek (web-based technologies), Selp (virtual webinar systems) and MetalForm (rapid resistance heating systems). Young Turk Ventures is an internet-focused investment firm led by Cem Sertoglu. The firm targets to invest between 100,000 and 4 million Euros. Although the company is agnostic in terms of target business cycle for fund-seeking companies, it is currently interested in deals over a million euro. The firm’s investments include GittiGidiyor.com (via Mr. Sertoglu’s involvement at iLab Ventures), YemekSepeti.com (online food delivery) and Grupanya (merchandise deals site). Teknoloji Yatirim A.S. started investing in 2007. The firm provided funding to companies developing location-based services (Infotech) and a medical device pending FDA approval (Uca Medical). They target seed-level investment opportunities requiring less than 750,000 USD for companies operating in IT, biotechnology and health services. Galata Business Angels (GBA) operates as a not-for-profit organization and acts as a platform where member angel investors and aspiring entrepreneurs discuss investment opportunities. GBA members founded companies such as AirTies (manufacturer of routers and gateways), Mynet (web portal), and Markafoni.com (private shopping site). Membership to this premier investment group is by invitation only and members are expected to put their skins in the investment process at least once a year. Members usually invest in areas such as mobile technologies, Internet, software, and telecommunications where they have personal business expertise. Lab-x provides full-fledged angel services from start-up incubation to funding provision by their 85-member angel network to innovation consulting services. They have investments in Paramarka.com (interactive marketing site), Kobay (research animal lab) and SMS-Groups (mobile chat provider). Lab-x actively searches successful entrepreneurs via business plan competitions in collaboration with respectable universities (such as Bilkent) and business societies (such as GYIAD). iLab Ventures invests in Internet-based businesses or traditional businesses that plan to expand by using Internet technologies. For instance, the firm provided funding for in-house development of online businesses selling insurance products (Sigortam.net) and personal retirement plans (BesOnline.net) as well as platform sites matching freelancers with projects (Treda), and chemical raw material buyers with sellers (ChemOrbis). They also became a significant shareholder of several major Internet sites in Turkey such as Kariyer.net (career finder) and GittiGidiyor.com (online bazaar). The firm director Yüksel Dibekoglu specified their target investment amount to be in the range of 0.5 to few million USD. 212 Venture Capital is a new and promising firm providing not only capital but also strategic support and guidance to early stage companies. It plans to work very closely with techno parks, universities, incubation centers and angel networks. The founders Numan Numan and Ali Karabey started this firm in 2010 after working in investment divisions of major finance companies such as Morgan Stanley, Goldman Sachs, and Deutsche Bank specializing in private equity and venture capital funding of technology firms. 212 Venture Capital is currently raising funds for Q1 2011. Another VC that should probably be mentioned here is Big Bang Ventures as the firm, despite being located in Belgium, has made investments in Turkish start-ups. Big Bang Ventures is a seed and early-stage venture capital fund for high-growth digital media and software companies. The firm typically invests from 0.5 to 3 million Euros. They invested in a performance based digital marketing company (DigiTouch) via Big Bang Ventures II fund and in a social gaming company (Peak Games) via Hummingbird Ventures fund. Please note that the firm has changed its name from Big Bang Ventures to Hummingbird Ventures, which is also the name of their third fund. The companies they invest are located in various European countries such as Pins (hosting services company in Netherlands), Shutl (on-demand immediate delivery network firm in England) and Clear2Pay (payment processing technology developer in Belgium). According to the firm director Frank Maene, Hummingbird Ventures has allocated a big chunk of its 50 million Euro fund to Turkey and is planning to announce their biggest to date investment in Turkey by the end of January, 2011. KOBI Girisim is another investment organization that can be considered as a venture capitalist targeting established companies with high growth potential. They seem to differ from other VCs in Turkey due to high concentration of chamber of commerce rather than private company and group involvement in contributing for the organization’s funds. So far KOBI Girisim has invested in companies operating mostly in manufacturing of machinery such as Makim, Intermak and BuTech, although they also intend to invest in telecommunications, biomedicine and information technology companies with high chances of dominating their future markets as a sole player. Their investment range is from 0.5 to 5 million USD. Is Girisim Sermayesi, subsidiary of a major Turkish bank (Is Bankasi), has helped many high-growth companies in various sectors (tech or non-tech) since 2000. Their investments so far have been in the range of 1 to 12 million dollars per deal. Therefore, they consider mostly already established businesses operating with significant competitive advantages in their markets. Their company portfolio includes Havas (airport ground services), TurkMed Diyaliz (dialysis centers), and Probil (system integrator). Rhea Venture Capital Investment Trust (Rhea Girisim) is an Istanbul Stock Exchange registered public company, regulated by the Turkish Capital Markets Board (SPK). Its management team has some high-profile personnel of the government such as a former president of the Central Bank of Turkey, a former president of Istanbul Stock Exchange and a former senator. Rhea VCIT generally invests in companies of $2 – 20 million annual sales that have already completed their product and service developments, established a customer base, and have global aspirations. They do not invest in business models targeting Turkish markets only. They have control over invested company’s finances and the board of directors (per their shareholding ratio). The primary sectors Rhea CIT invests are healthcare (medical devices, insurance and payment systems), information technology, software, hardware, Internet, energy/clean technology infrastructure, and business services (finance, hospitality and education). In 2010, Marmara Ferryboats (logistics), Envitec (waste disposal), Seta Medical (healthcare) and Netsafe (information security) were able to receive funding from Rhea VCIT in return for sharing 33% to 99% of their company’s ownerships. Esas Holding is a venture capital company owned and directed mainly by members of Sabanci family, which is one of the most well-known families in Turkish business world. The company has invested in 13 companies in 5 main sectors. Although they started their investment life with early-stage companies, over years their target shifted more to partnerships with and acquisition of large companies such as Pegasus Air, Trakya Farmers and AirBerlin. Therefore, frankly the company should not be the first resort for high-growth small businesses to secure funding. FIBA Kapital Holding, Sedes Holding, Turkven Private Equity, Brightwell Holdings (Alphan Manas’ Private Investment Firm) and maybe few others that did not get picked up by my radar, invest in later-stage companies and will be researched adequately and explained in another article. Last but not the least, checking recently founded platforms like eTohum might help find those hidden investing and investment gems! Special thanks to Ersan Cinan (@Intel Corporation), Volkan Gerdan (@VGG Verimlilik) and Ali Karabey (@212 Venture Capital) for sharing their knowledge with me on the matter.